New Tool for Citizen Science? I am not someone who could be characterized as an “early adopter” of new technologies, even when they are whiz bang cool. But I do get excited about technology innovations that suggest new and deeper ways for museums to engage with their public. When I learned about Pachube I wondered: could museums leverage this relatively simple idea about how people, objects, and the web interact as part of a strategy to build on-going relationships with audience members around issues important to them? Pronounced Patch Bay (the name references the function of an old fashioned switchboard) this open-source code connects people, via the web, to objects in the real world. These objects – or devices – have been outfitted with a sensor that can send data to pachube’s website. Data can be stored, aggregated with other data feeds tracking similar information or from linked devices, graphed, and shared. The connections are many-to-many, and happen in real time so that data streams can be sent to handheld devices, or updated on public websites as they change. So why is this so exciting? I don’t really need to know if the snack machine on my floor is stocked with my favorite chips before getting up from my desk. And some of the ideas that pachube suggests on its website are a little “gee whiz” – like linking lamps in different cities together so that one turns on or off in response to the other. But there are some new research potentials that this technology opens up both for professionals and – most relevantly for museums - for citizen scientists. Using pachube I can track, for example, my carbon footprint in real time, and also monitor my community’s energy use or pollution levels. In addition to pulling information in, pachube can send instructions out to its linked devices - for example, turning off the lights when the power grid is running at peak capacity. Some citizen science projects – like the annual Cornell Backyard Bird Count, or the National Geographic DNA Project– require people to collect information manually, and rely on them to enter it into a database. 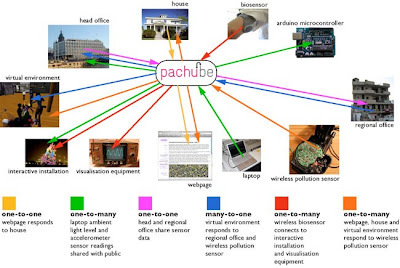 Pachube is targeting a different kind of (automated) data collection, and at the same time making it easier to collect detailed, specific information. The addition of the smart networking function, which allows devices to be responsive to the data, also makes it possible for individuals (and organizations) to act on this information. Pachube is removing barriers to participation on both sides of the equation. So how might museums use pachube? Museums are ideally positioned as the hub of citizen science initiatives, and a number of museums are already experimenting with projects. In addition to serving as a community partner, they are acting as the central access point for hardware and software, and the host of the public interface that allows participants to see both their own data contributions and the big picture. 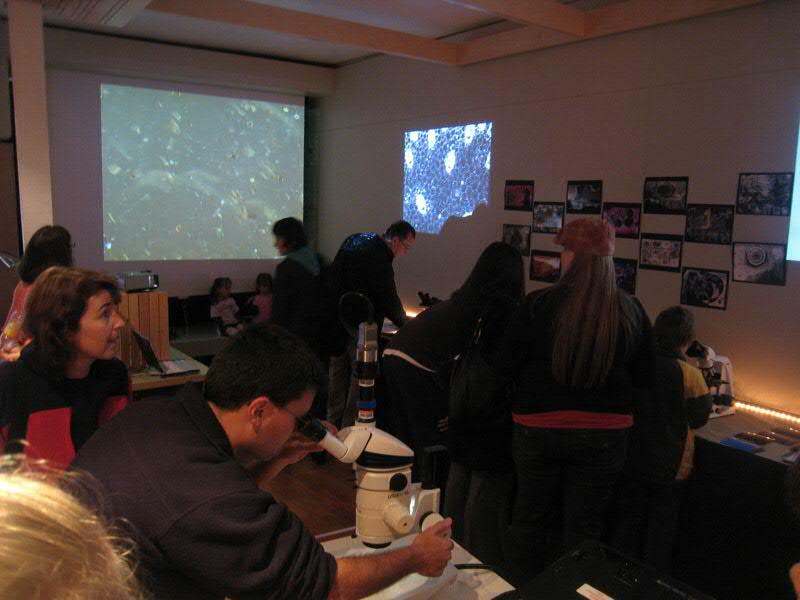 In addition to bringing like-minded individuals into contact with one another, and organizing collective action, many museums see citizen science initiatives as an opportunity to serve as the host for discussion and debate around issues of critical importance to the community. Pachube’s automation, ability to aggregated data, and emphasis on linking action to results, seems to have the potential to amplify the strategic goals of many museums to play a role as a top-of-mind local resource, and as a hub that links people and resources. It supports a type of activity consistent with museum’s missions, all in a way that is audience-centered and relevant. How might you use it at your museum? Artists as Public Programmers: for Microscopy? 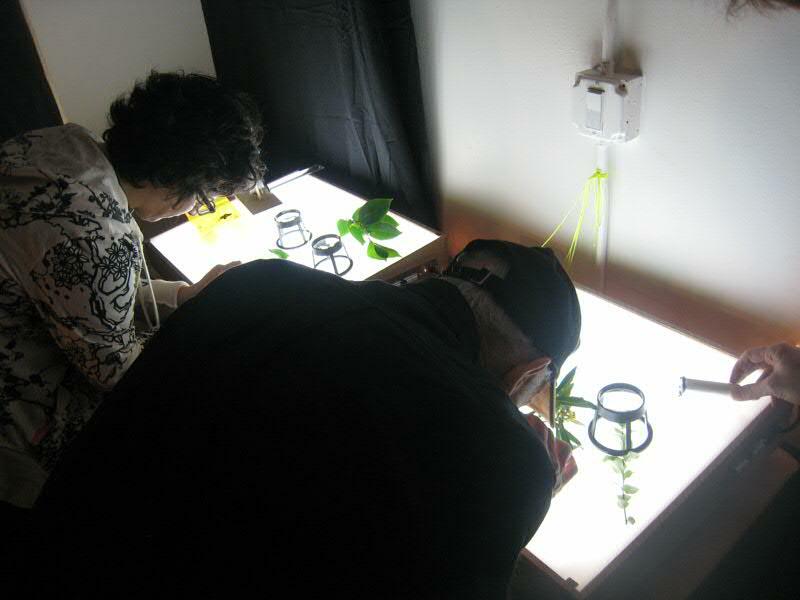 Last weekend, I attended and participated in the most recent "Critter Salon" event put on by bio-artist Phil Ross. It was billed as the "Enormous Microscopic Evening", with microscopes and microscopers of all shapes, sizes, abilities and technologies. It was FREE and the event was packed. This was a great example of the power of providing multiple access points to a complex topic. It created excitement and fostered understanding while also celebrating the simple beauty of the practice of microscopy. It also showed how an artist makes a great public programmer by bringing together disparate yet similar groups under one roof through their own interest and their ability to communicate. ...Phil also had a small "build your own microscope station" (which yours truly worked at). This was made up of 2 lightboxes, plants cut from outside, a glue gun and parts and lenses from disposable cameras Phil got from Walgreens. 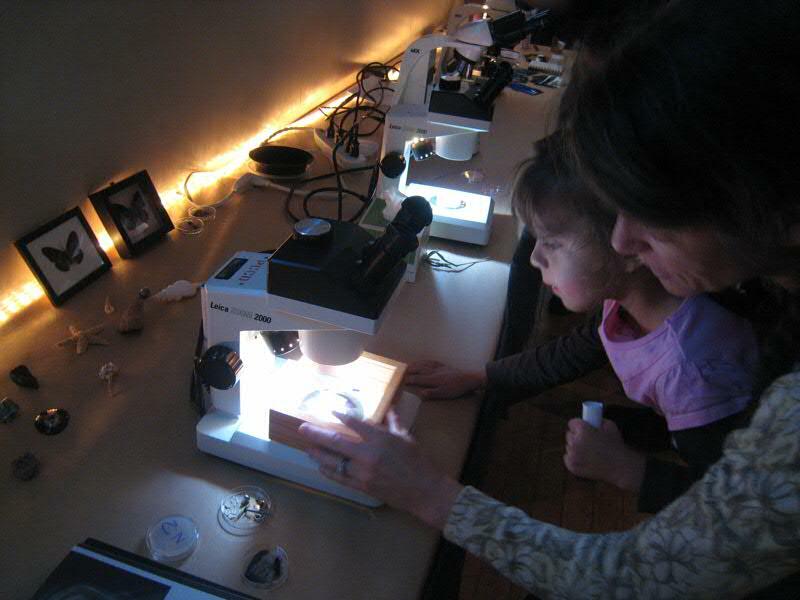 I made well over a dozen mini-microscopes for delighted kids and adults. All photos courtesy of Phil Ross. There are lots of networking sites out there that allow groups to come together and share information. Over the past 3 years we have been trying out various on-line tools with our clients. Two in particular have been successful in different contexts: Ning, and Wiggio. Here's why they are useful. 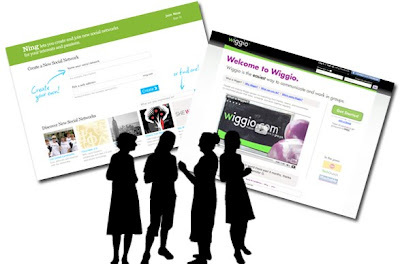 There are many benefits of using a website to share information with a project team and stakeholders. As with an FTP site, we are able to post meeting notes and progress documents in a place that people can access them as needed. In addition, these sites allow us to post a link to an article or a potential partner organization, upload design references and personal photos of visits to other museums, and share personal profiles and background information on the interests and passions of team members. All of this allows fuller information sharing, helps the project team to build shared vocabulary, and keeps everyone informed of the progress and trajectory of the project. But the biggest difference these sites make, and the place where we at Gyroscope are most excited about their potential, is in how they are able to shift communication from a structured event of passing information back and forth to an evolving and complex dialogue that is accessible to multiple stakeholders. By posting a link to an article on the future of artifact-based museums in an increasingly digital age we can elicit debate within a project team about the implications for their own institution. Different points of view emerge naturally in this setting, and the team is able to raise important questions on its own. With Gyroscope facilitating, rather than leading, these conversations the team develops better internal communication strategies and a fuller understanding of the issues and opportunities. 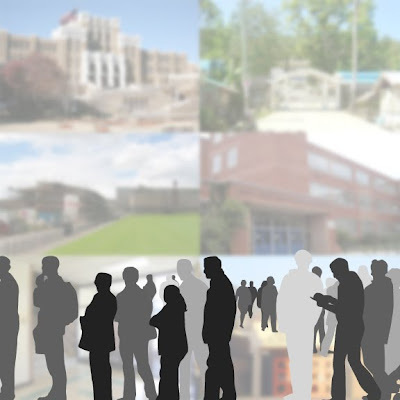 At the same time, the use of the on-line site has encouraged an on-going conversation that keeps participants actively engaged in the issues between major project milestones, and encourages individuals to come to the next meeting with ideas and questions. We use many tools to develop partnerships with our clients. These on-line networking sites seem to enable projects to take root in a deeper way, where ownership of the ideas and strategies underlying the museum clearly lives in the community. And this is a key to sustainability and long-term success. Building on Maeryta's post from last week- I'd like to say that not only are 21st century skills important for both children and adults, but we believe museums are uniquely positioned to support their development. 21st Century skills are those skills that are needed by the workforce in a post-industrial, knowledge-based economy. Museums are clearly wonderful places to spark imagination, encourage questions, risk taking, persistence, and trial and error. Some museums are better at making their visitors comfortable, leading to the kind of un-selfconsciousness and frustration tolerance needed for lifelong learning. But skills development - as opposed to content transfer for example - is in museums' sweet spot. 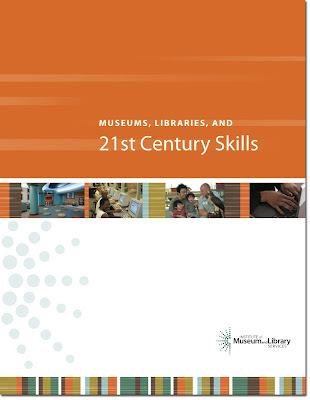 About two weeks ago, IMLS published a new report titled 21st Century Skills, which attempts to “outline a vision for the role of libraries and museums in the national dialogue around learning” in the new century. It identifies a set of skill categories, and the key skills within each, that museums and libraries are best positioned to support. The report also includes analysis of societal changes that affect the expectations and needs of our audiences, and a discussion of why focusing on skills development matters now. Along with case studies from all types of museums and libraries from around the country is a chart that summarizes the 20th century museum model and contrasts it with that needed for a 21st century museum. In addition to being useful as a program planning tool, the 36-page report is intended to serve as an institutional planning tool. To this end, it includes a self-assessment that allows museums and libraries to evaluate their organizational culture. The implication is that any organization that hopes its visitors will develop problem solving and lateral thinking skills for example, needs to model those behaviors within its own staff and structures. This morning at my son's high school orientation, the dean shared some really inspiring thoughts about education and what the next year will be like for our students. He said the strategic vision for this year is to explore what it means to be a 21RST Century Learner. It struck me because we talk about that all the time at Gyroscope and we try to put strategies in place for our clients that will position all visitors to be 21RST Century Learners. That means technology has a role as does research into brain development, how the physical environment can contribute to positive learning behaviors and of course the social aspects of learning. The dean went on to say, "Are we preparing our students for THEIR futures or OUR past?" It occurred to me that we in the museum field and especially in the history museums, historical societies and cultural organizations, need to ask ourselves that same question. Discussions with older stakeholders, board members and staff often emphasize how important it is to learn from the past but are we losing relevance for the next generation? The young people I interact with at my son's school impress me with their real desire to make a difference in the world and to MAKE THEIR OWN HISTORY-NOW! We need to give them the tools and opportunities in school and in our museums to do just that. At Gyroscope we expend quite a lot of effort on this point, and it is not news to urban planners, public artists, environmental psychologists, or many educators. 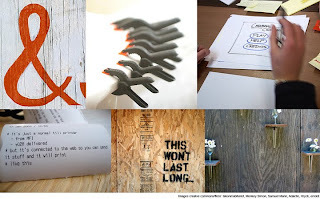 A google search of “design affects behavior” reveals articles on how design affects voting behavior, inmate behavior, and the feeding behaviors of cows. 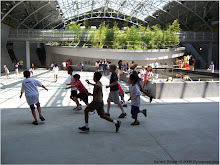 The significance of the influence of design on learning is perhaps most succinctly articulated by Reggio Emilia in the phrase “the environment is the third teacher” (after the parent and the classroom teacher). 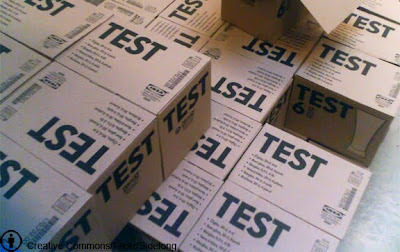 This past spring a new “gallery experiment” at Le Laboratoire, the art/science innovation space in Paris, explored how mood might influence design standards for housing. Studio R&Sie(n) and the mathematician François Jouve have created an experience in which they can measure the neurobiological responses of visitors (their mood) as they explore an on-going robotically built environment. At a sales desk “visitor/clients” were able to place an order for their bio-architecture to be implemented as part of the collective structure being created on-site. 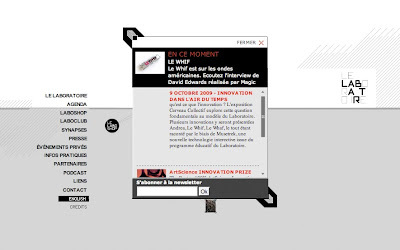 Le Laboratoire is the brain-child of David Edwards and is designed to bring scientists and artists together through a series of year-long collaborations. The first exhibit documented the work of French artist Fabrice Hybert and Robert Langer of MIT who investigated intelligence. The second experiment paired Michelin-starred chef Thierry Marx and colloidal scientist Jerome Bibette who explored molecular gastronomy. In the gallery visitors could have coffee served with a whiffer of chocolate. Le Laboratoire also released a product line of aerosolized chocolate for sale in the store.